WEEK 10 is hosted at the M&S Bank Arena in Liverpool, where a few thousand fans will have delight at seeing progress towards finals night making one further step forward. MVG is still around 4/7 with a few firms to win the competition, with Rob Cross his closest rival at 5/1. Wade is 14/1 and Mensur Suljovic is 16/1 with the bar set here. Wright and Smith are 3/10 each to NOT make the O2 finals next month, with the possible value between Price, Gurney (odds on) versus Wade and Suljovic (odds against). Cross is 5/1 to not make the final and a BIG 66/1 on MVG failing to qualify from here. 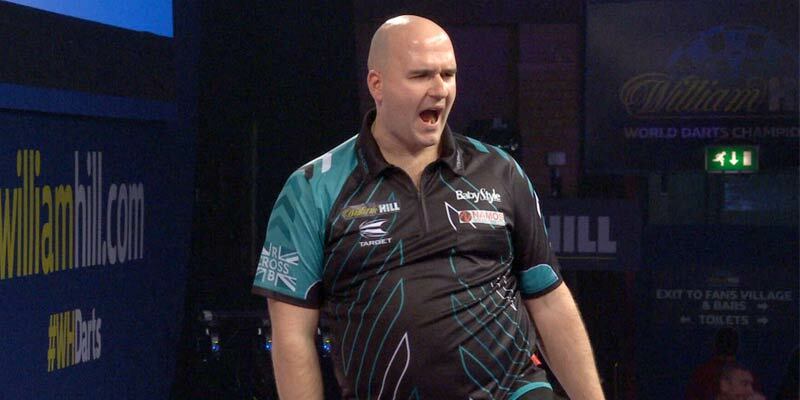 Rob Cross is a few crumbs short of 100 3-dart average for the event sitting on 99.90 and was again in good nick last week beat Gurney with some ease 8-4 sporting the highest average of the evening just shy of 105. Wright in comparison has been patchy throughout the competition and was lucky to scrape a 7-7 tie in Belfast despite and almost 10 point deficit in the average to opponent Michael Smith. Wright has not been at the races in general an reflects not picking up a victory since week five only accumulating three draws becoming a statistical trend. Seeing Cross at 5/6 with his consistent record bar the slip against Suljovic may be in people's minds, but if Wright makes a bare 90 average or less for the fourth week running he will be in trouble. Cross should have enough to get over the line here and accumulator punters may opt on the 1/2 with Skybet on the draw no bet market as some insurance. An interesting game, which could influence the finals night odds, with Price 4/6 to finish outside the top four, and Mensur 5/4. The match odds imply layers are unsure which direction this is going in. Price has bested Mensur on the head to head and won back in week 5 convincingly 7-3. Price is in sound form at the moment more recently, but was not able to see off Mighty Mike last week and battled to a 7-7 draw. This could go all the way again, with the result too close to call. Wade won the reverse fixture in a rare whitewash five weeks ago and goes from strength to strength. With rock steady Wade, his finishing, always a strength could support credit towards the win, and think Wade will have the double and chin Daryl for a second time. Michael Smith could do with a morale boosting victory here, but is no bigger than 11/2 with Betfair to do so, with MVG, a little patchy in recent times at 4/11. Now with MVG recovering to a 7-7 draw with Price last week, was a credible comeback, and looking at the match prices, if you had to pick either 11/2 pick, most would surely lean to the draw price. The considered bet in this game is to look towards the maximums market. With the line set at 7.5 over a possible 14 legs, the match line handicap suggests the game will go either twelve or thirteen legs. With the maximums line, would require an average of 0.62 180's per leg based on 13 legs. the pair hit just five between them in 28 legs of darts last week and seven in 19 legs the week before. The 21/20 with Sportingbet and Bwin will at least give us an odds against price to consider as the main event draws to a close.